Who is Arturo Iengo? Forget your celebrity chefs! Arturo Iengo is a local Italian chef with a passion for the food of Naples and Campania. If you are a celebrity chef it is easy to have books published under your name but cooking and recipe books without the name of a celebrity chef to sell them have to be a little bit different . . . they have to have quality! In Cucina Napoletana Arturo has brought together a collection of recipes which represent the simplest and best of the cuisine from Campania with Naples at its centre. You won't be disappointed by Cucina Napoletana and don't allow yourself to be put off by the cover. Open the cover and you will enjoy a feast of food and wonderful colour photography, as well as some great mood photography. 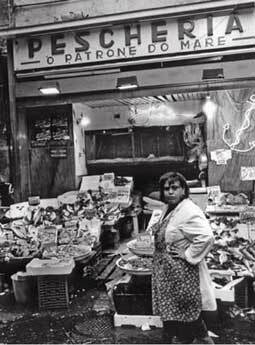 You expect photography to be good in modern cooking books but this is a little bit special and really brings you the atmosphere of Naples and its food. These sections are interspersed with short articles about the food and life of Naples and the surrounding area. Did you know that Naples claims to be the true home of Pizza and "that there is even an organisation dedicated to ensuring that it is made to the correct standards using traditional methods". The recipes really stand out in this new book because they are not the same old recipes turned out with an added twist to make them seem different. 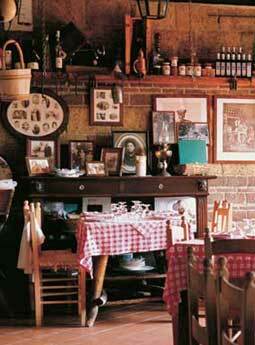 These are real Italian recipes, which real Italians eat and enjoy. There is something for all occasions and all tastes and the recipes are well written with easy to follow instructions. What is more the ingredients are readily available! With each recipe there is also a brief introduction telling you about the dish and its origins and use. Open any page and you will almost certainly find a recipe you fancy trying and that immediately gets your mouth watering . . . Linguine con Vongole e Pomodori (Linguine with clams & tomatoes) or Seppie Imbottite (Squid stuffed with shellfish & bread). Perhaps you have a sweet tooth! You won't be disappointed with such as Torta Caprese (Chocolate almond cake) to choose from - there are plenty more like that. 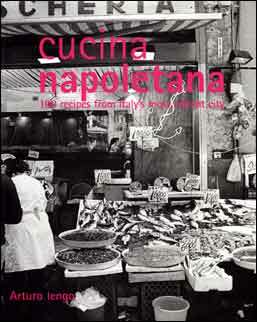 Cucina Napoletana is definitely recommended and is a great addition to any kitchen library. What is more it is a book that will appeal to those who like to cook whatever their skill level, beginner or experienced.